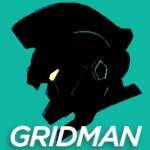 Tokunation › General Tokusatsu News › New SSSS Gridman Trailer Released & Series Premiere Date Announced! New SSSS Gridman Trailer Released & Series Premiere Date Announced! Tsuburaya Productions has released a new trailer for the Studio Trigger upcoming anime project SSSS Gridman– an updated version of the 1993 cult classic tokusatsu series Denkou Chojin Gridman (or to Western audiences- Superhuman Samurai Syber Squad). In addition to showing off more of the cast for Gridman’s anime adventure, this trailer confirms the series’ release date. SSSS Gridman will begin on October 6 2018! 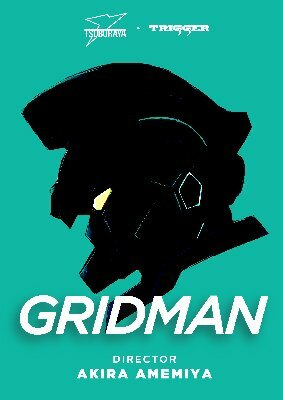 As previously revealed, SSSS Gridman will be released via FunimationNOW streaming service. An English dub is currently planned but no other details regarding voices or schedule has been revealed at time of writing. Stay tuned to TokuNation for any new Gridman reveals! Very niiiice!! Even teasing a potential evil counterpart. Even better!! I see they added what it seems to be Karn Knight, interesting. Hope it does well and leads to some more "Toku based Anime" in the future. Loving some of the new design elements. I love complimentary material to Toku like this, but definitely don't want to see it replace live action styles either, but this mixed with some of Tsuburaya's experimental filming techniques I'd love to see spread to Toku more and wider. They've done some phenomenal scaling techniques that Sentai has been severely lacking and needs to look into, same to power rangers since the overlay 'f/x' reel shouldn't be hard to tweak to do that. Yup and enjoyed them all as well as looking forward to the Ultraman Manga version anime. Though Gridman here has some embelishments to the design, but definitely is close to the original. And those are only the modern ones. Kikaider has done it too, as well as some random others. Cutie Honey has made the opposite leap too, going from anime to live, and has done some amazing work with that between the Live TV series, and Tears, as well as a fun campy romp movie. Skullman did mixed platform of live action episode 0 to then anime. Still would love to see Sentai take advantage of some of the Tsuburaya scaling techniques though in live action. And do gotta admit it'd be interesting to see some classic sentai updated as anime too. Oh look, it's Gridman Genm. All times are GMT -4. The time now is 5:14 PM.